League leaders, Wikki Tourist could extend their lead on the log as they trip to confront Plateau United in Sunday’s Nigeria Professional Football League at the Rwang Pam Stadium in Jos. 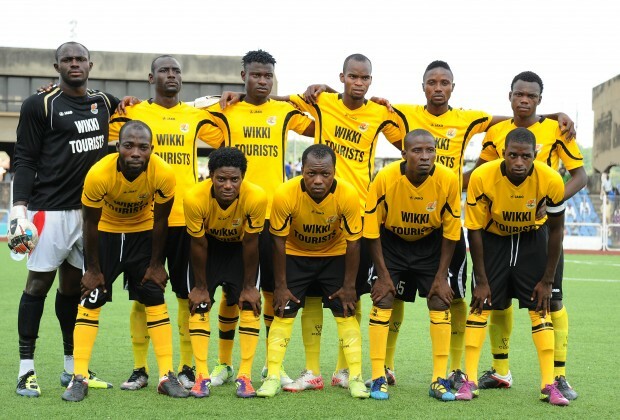 Wikki have had a very decent season as the team have won four and lost one out of their last five matches in the league compared to a Plateau side that are battling with relegation having managed just one win, three losses and one draw in their last five matches. Already on 41 points, a win for the Yakubu Maidajin led Wikki team could extend their points to 44 points as they go in search of a continental ticket next season. Wikki Tourists captain and right back, Mustapha Ibrahim has predicted a difficult match at newcomers, Plateau United. “The clash is a northern derby and expected to be tough but we hope to win to maintain our status quo at the summit. Plateau United are not comfortable on the league log that will add to the pressure on them to win. “However, we have resolved to make it a double against Plateau United to avoid being overtaken at the summit. The challenge at the summit is quite stiff so we must do everything humanly possible to win our matches. “Our target remains to win the league title or grab one of the African tickets at the end of the season,” said the Wikki Tourists strongman to supersport.com. Meanwhile, Enugu Rangers will be hoping to keep pace with Wikki Tourist and Rivers United as they battle Warri Wolves at the Nnamdi Azikiwe Stadium on Sunday. Despite appointing Dutch coach, Don Jong as new coach of Ikorodu United, Enyimba are poise to compound the woes of the team on Sunday. Languishing 19th place in the league, Jong will have his baptism of fire against the Aba Millionaire and knows that win could help the psyche of the players. Also Kano Pillars will host Abia Warriors in what is expected to be an entertaining game at the Sani Abacha Stadium on Sunday.